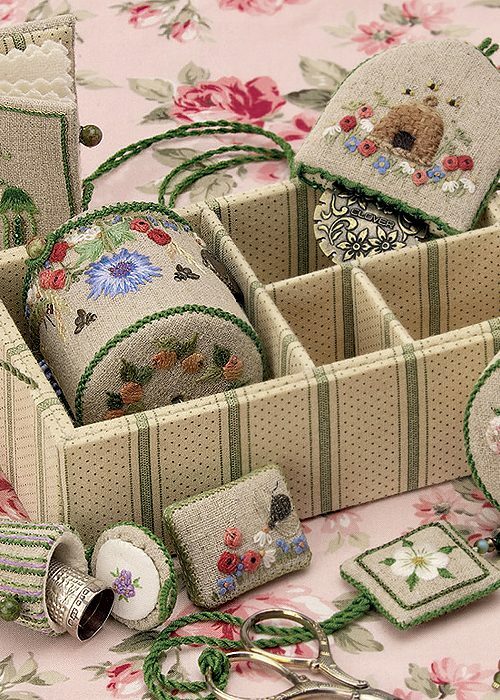 Discover the hidden secrets of this exquisite embroidered workbox. 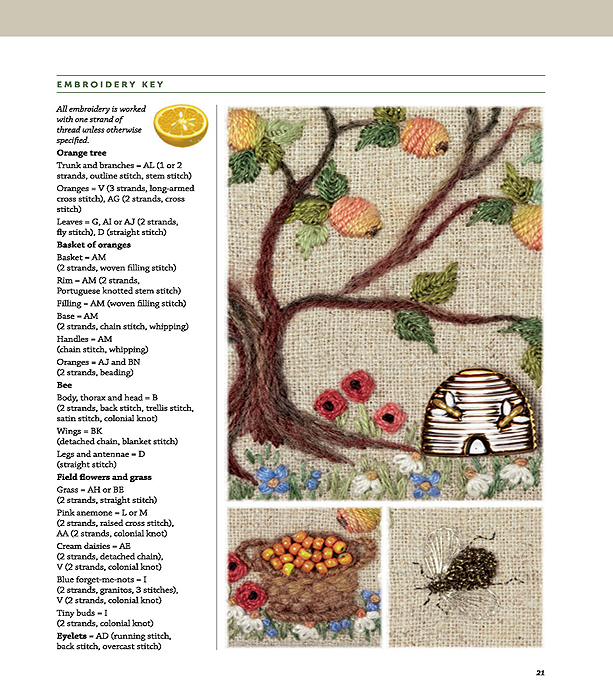 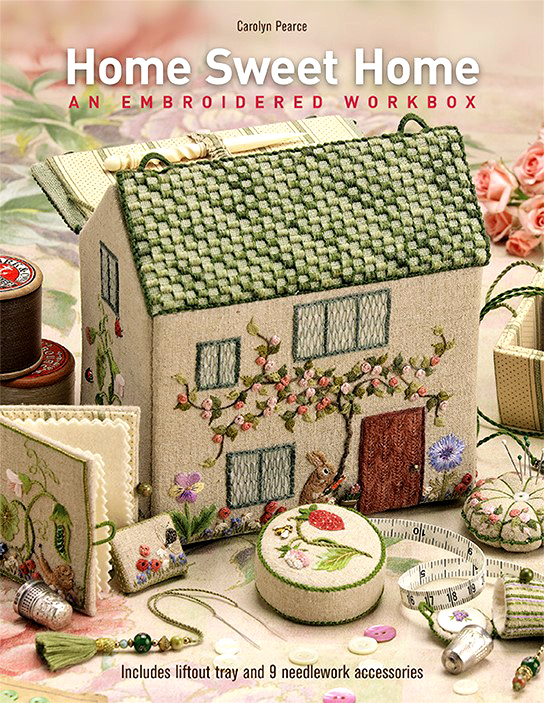 Home Sweet Home by Carolyn Pearce is an international needlework phenomenon that has captured the imagination of stitchers the word over. 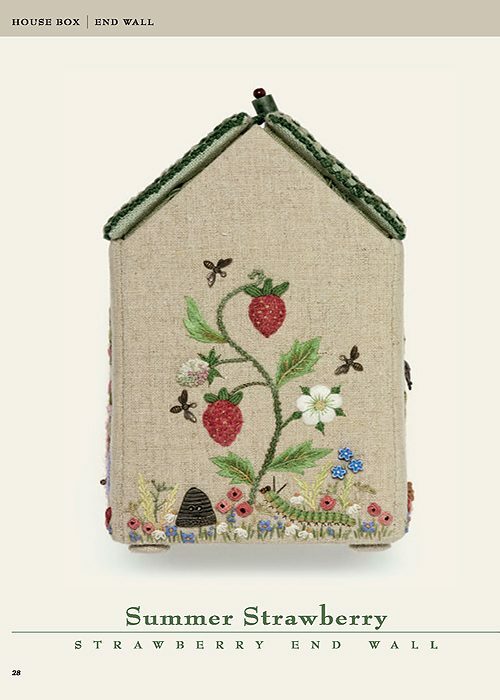 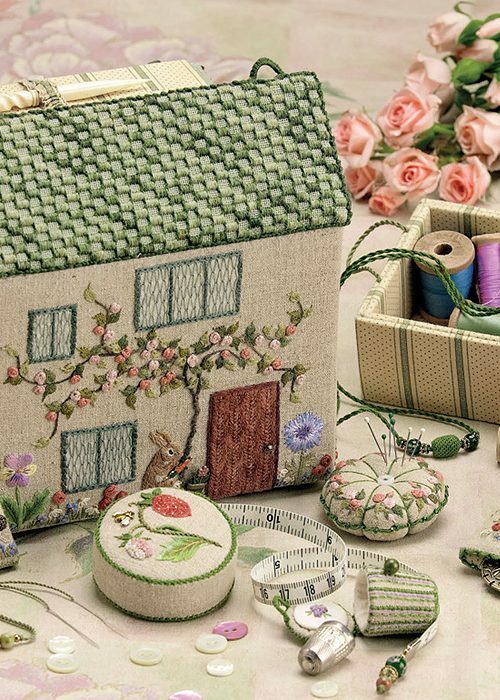 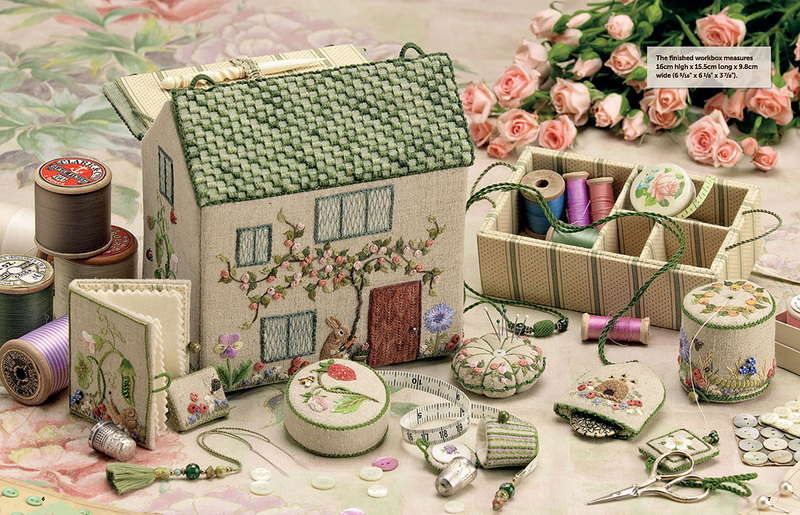 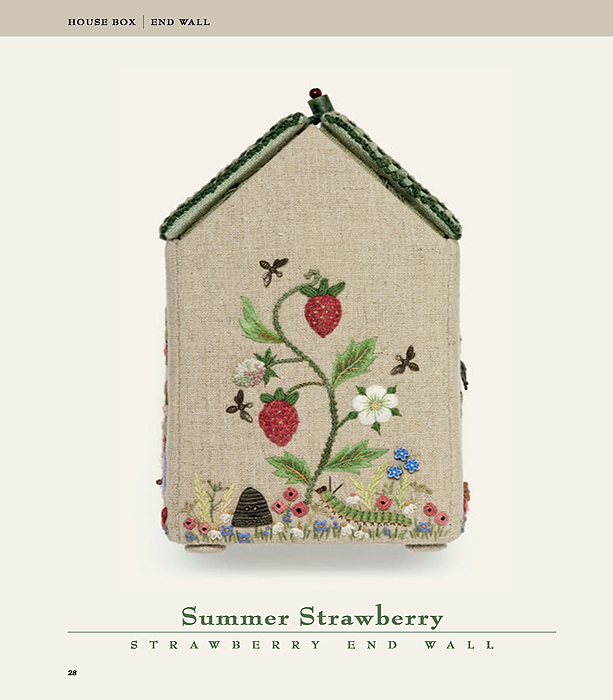 This charming English cottage, beautifully decorated with a garden of stitches, opens to reveal 9 gorgeous accessories and includes storage for all your notions. 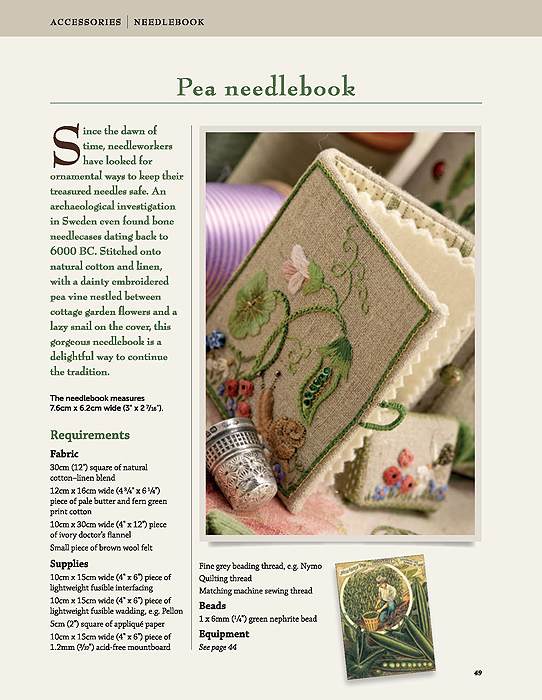 Ever since its release, this timeless design from Carolyn Pearce has proven to be a true delight and joy for needleworkers the world over. 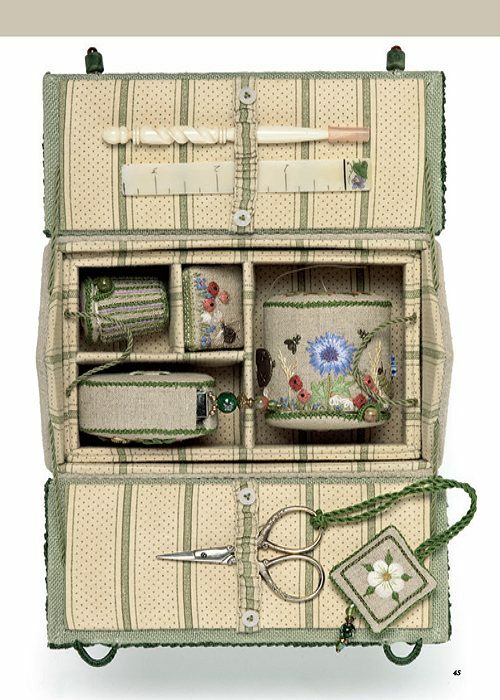 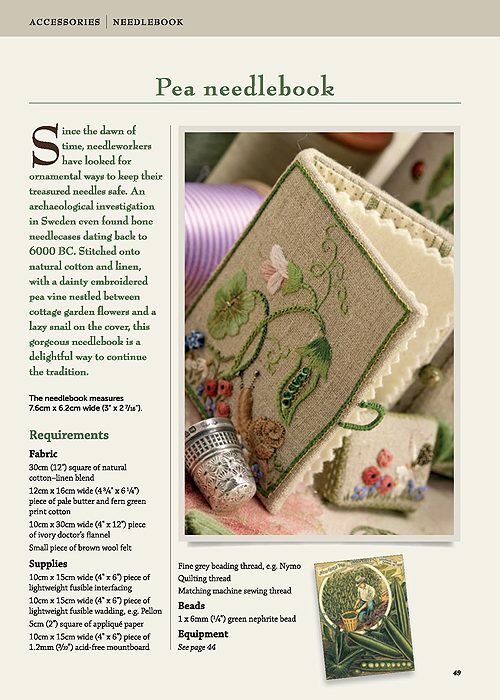 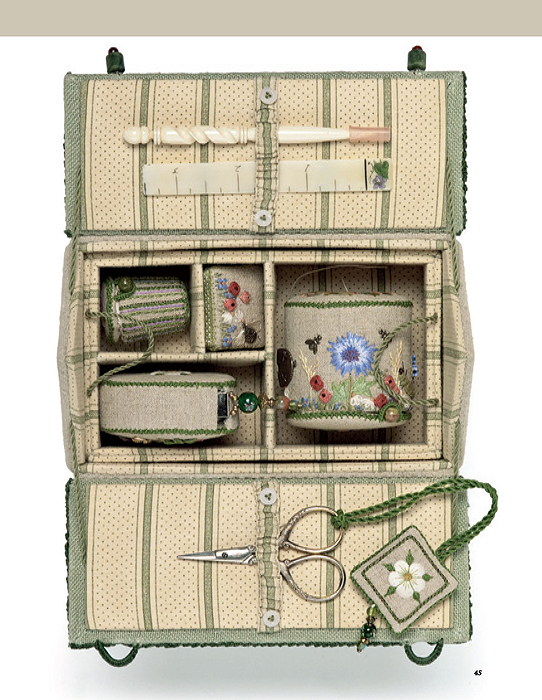 With beautiful colour photographs, detailed instructions and clear diagrams, Carolyn provides everything you need to embroider and construct this stunning workbox and delightful matching accessories. 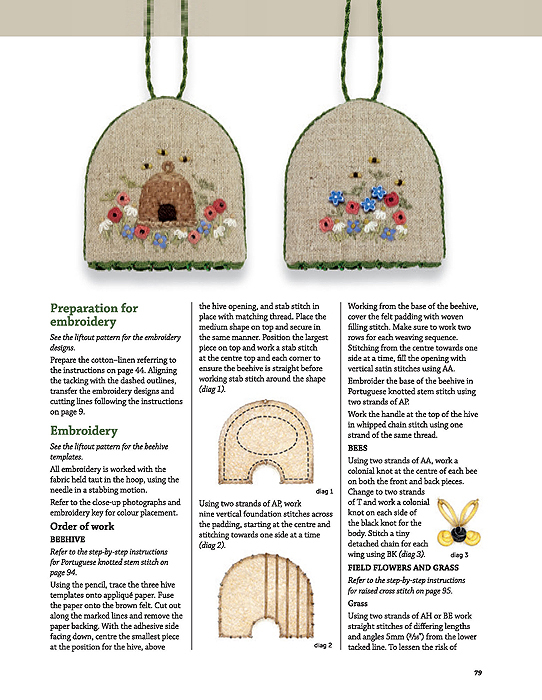 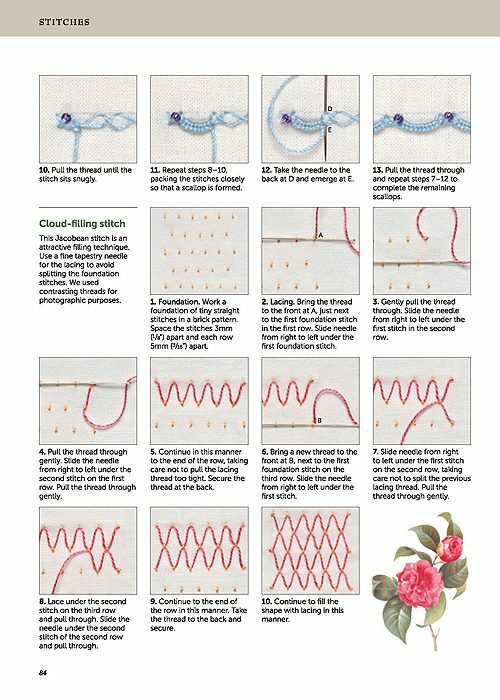 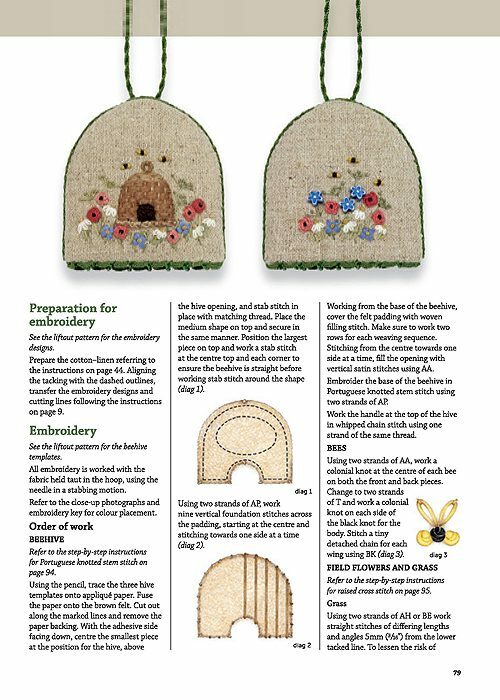 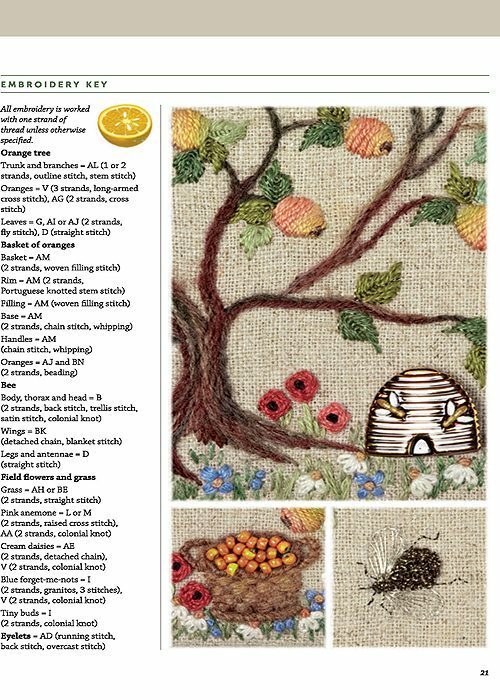 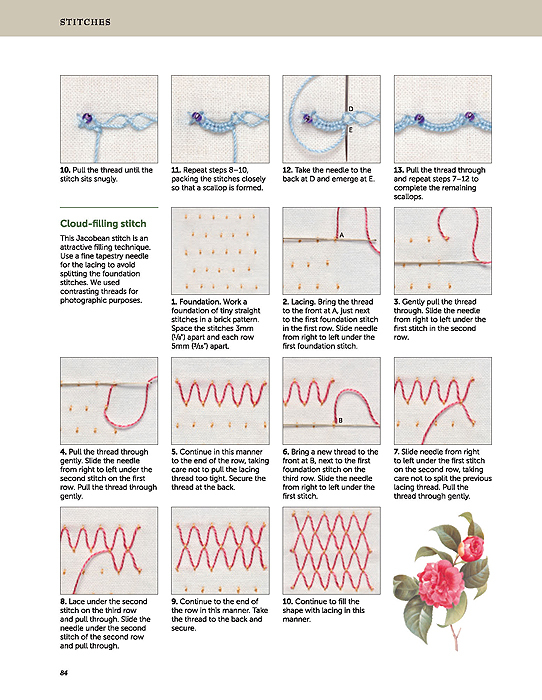 A full-size pattern sheet and over 100 step-by-step photographs make this an invaluable embroidery resource. 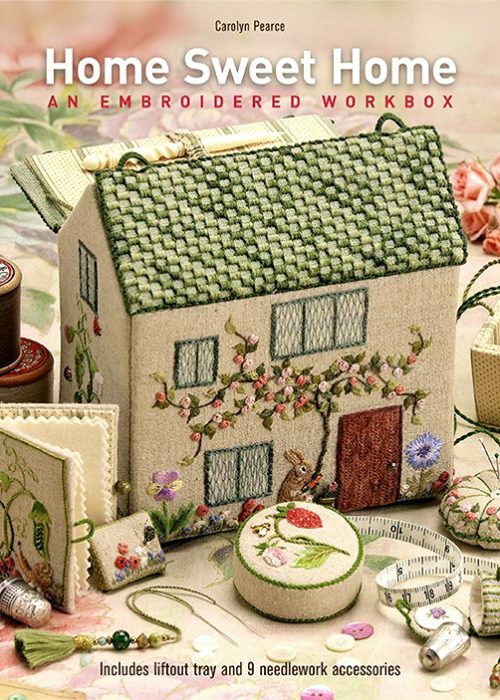 Pages of glorious colour photography and detailed instructions make this an irresistible book you’ll treasure for a lifetime. 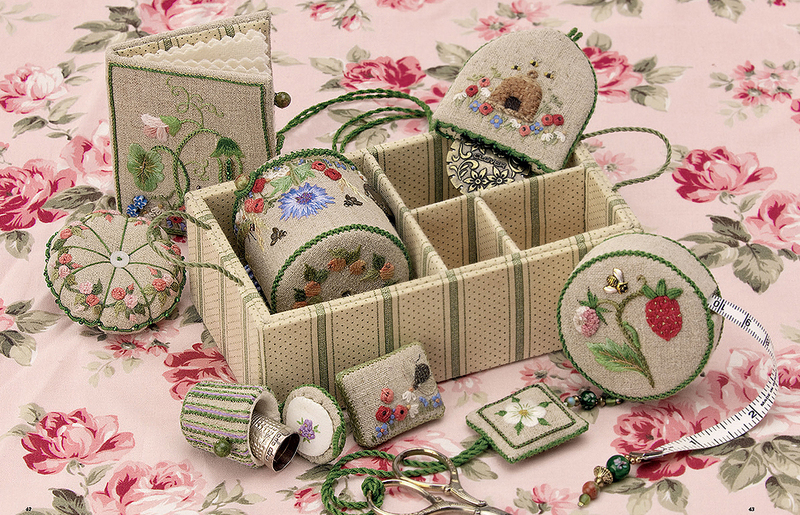 Whether you create the complete set as a unique heirloom for yourself, or make the individual accessories as special gifts, there are so many ways to enjoy this award winning design.